Design a personalised toiletry bag with your favourite picture or design. 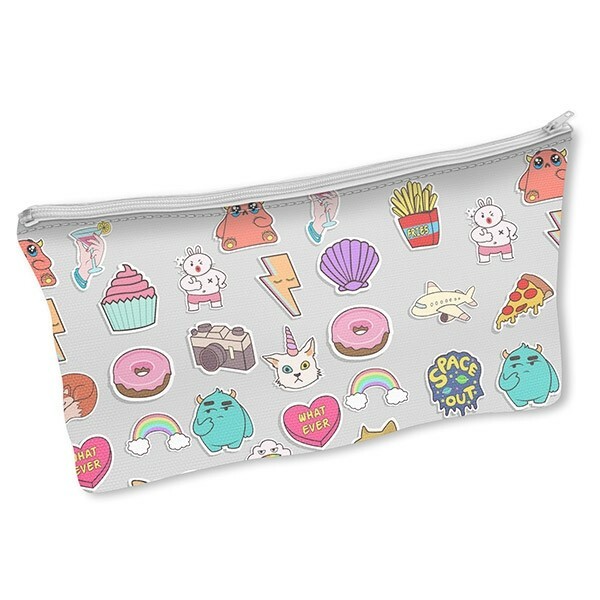 Stand out from the crowd with your very own personalised makeup bags. Make your own toiletry bag now! If you are looking for a makeup bag, a bag for your shower products or even a pencil case, our personalised toiletry bags are made for you! They are also perfect for travelling as you will be able to store everything you might need on the go. Not only are our personalised makeup bags really convenient but also truly unique as you can personalise them however you like. 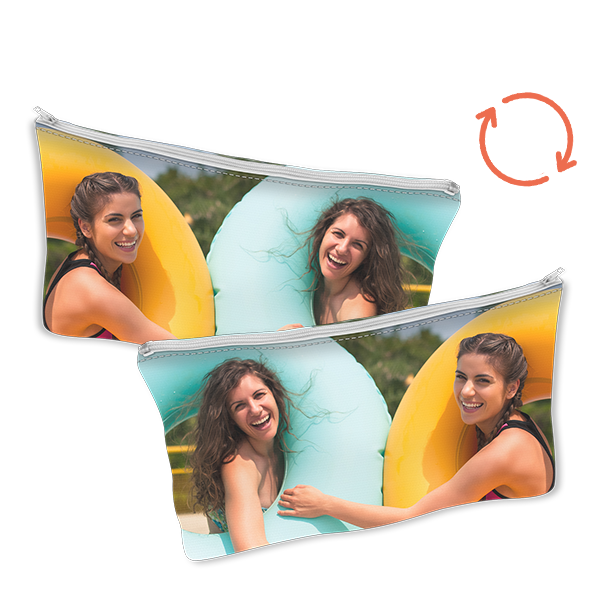 For your own bag, you can use your favourite picture or design. The options are endless! It's never been easier to design custom accessories. We have created a user-friendly tool that allows you to create your own bag easily and quickly. All you need to do is to upload your chosen design from your device or from a social media account, such as Facebook or Instagram. Now, you can use the customizer’s editing features to give your personalised toiletry bag the perfect finish. You can not only adjust the size of your design but also add your name and stickers to make the bag truly your own. Once you confirm your order, one of our printing specialists will start producing your custom toiletry bag almost instantaneously. With great attention to detail and our state-of-the-art printers, we can achieve impeccable printing results. To make sure that you will receive your order as soon as possible and can start using it, we produce and ship all orders within 24 hours of purchase. After our personalised makeup bags leave our production facility, they will be delivered to your doorstep by one of our reliable carriers in no time. So what are you still waiting for? Make your own toiletry bag now!